Squash House Quilts: We're Having a Baby? and Sample Spree Goodies! A while back after getting Sasha we gave some consideration to getting her a playmate. We thought it would be good for when we're away even though we have a wonderful pet nanny who looks in on her every day, and we would also each have a lap cat! We thought if at some point another part Siamese was available it might be a good match for Sasha. So here is Gracie May, Sasha's baby sister to be! Isn't she adorable? She's only about 3 weeks old in this photo and living with a foster family along with her siblings. We get to pick her up on June 1st when she's 8 weeks old! Other than having no white markings that we can see, she looks just like Sasha! Sample Spree at Quilt market was quite remarkable! The biggest line of quilters and shop owners I've ever seen were lined up outside the doors which didn't open until 8:30 pm on Thursday night. Even though we weren't at the end of the line, much had been picked over and scooped up by the time we got in the door. I didn't get anything I had on my list, but did score some goodies that weren't on the list. Above is Edyta Sitar's new line called Hope Chest. This is a fat 8th pack. I love Daiwabo's and here is a wonderful pack from EE Schenck called Serenity. This is First Ladies from Windham. Here is another Daiwabo pack from EE Schenck called Vintage Dry Goods. On Wednesday we met Stephanie and Mr. Creations in their old neighborhood of West Linn at Hollyhill Quilt Shop. Mr Squash knows I love French General Fabrics. He was so sweet to get me this fat 8th pack of Panier de Fleurs. 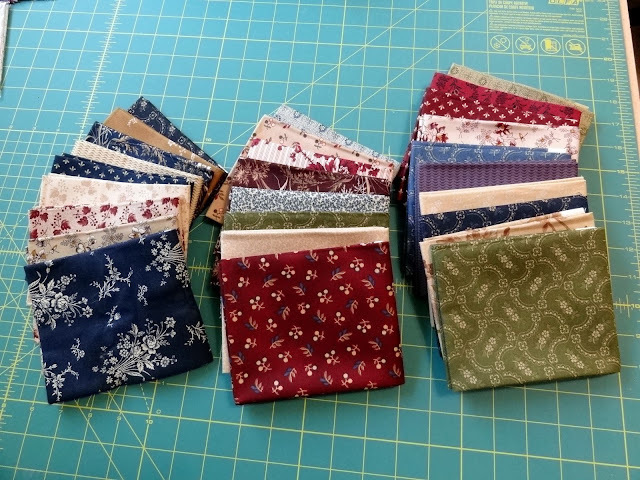 I also added to my stash of homespuns for a future quilt. I'll have a few more photos from Quilt Market on my next post! We have a Gracie May at our house also. 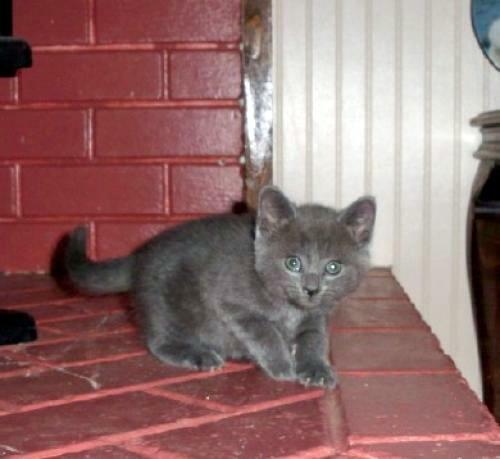 She looks exactly like your new little kitty, but ours will be turning ten this year. Our vet calls her a "senior" kitty now. He doesn't see her running around the house like we do. Will be waiting patiently for more photos when Gracie May moves home. Thanks for sharing. Beautiful kitty....I didn't make it to EE Schenks booth or else I would have picked up some fabric there..thankfully I was on a budget and only got a packet of Jo Morton fabric, some homespun and 12 pieces of wool. Whew. Congratulation on the soon to be new addition to the family. 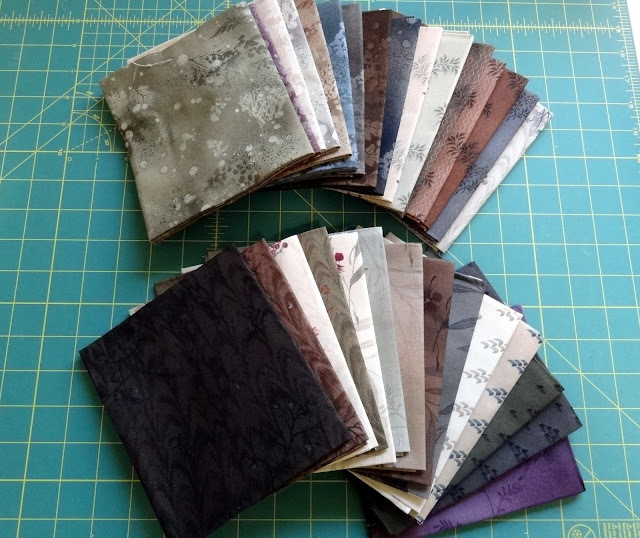 What a lovely stack of fabrics, they should keep you busy for a while. Fat eighths are my favorite precuts, a little of everything but not too much. Oh your kitty looks SO CUTE. Good luck with the new kid! 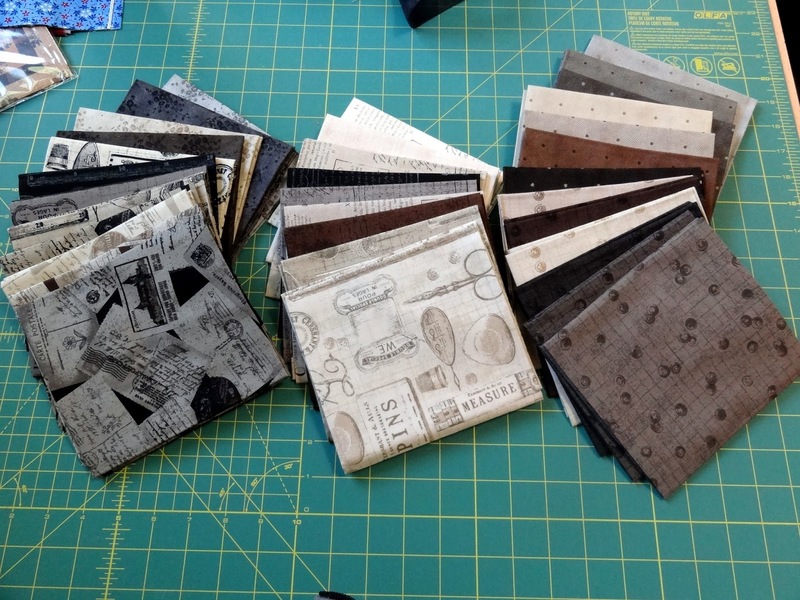 and your fabric goodies, well, I can't wait to see what you do with them. The fabric is gorgeous. How fun to get such great stuff even if you didn't get what was on your list. Oh and a trip to Holly Hill - one of my fav shops!! Now lets talk about the best thing - Gracie Mae, oh lord she is a cutie pie. I bet you can't wait to pick her up. Better watch it though, Sasha will teach her all about toilet paper shredding, haha. Gracie May is precious and I love her name! 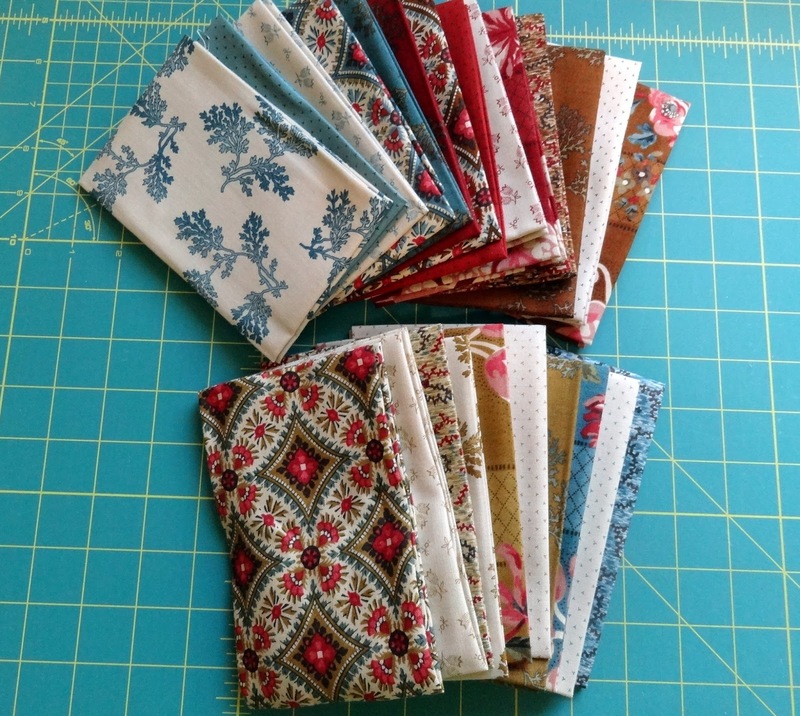 Looks like you have quite a bit of gorgeous new fabric to incorporate into your cupboard. Wonderful fabrics! Especially love the First Ladies. You are going to have a lot of fun playing with your treats! Now I get to see what you bought! :o) I love Gracie Mae's green eyes. She's absolutely adorable. Sasha is lucky to get a new sister and they are both lucky to have such loving parents. Looking forward to more baby photos! I can't wait to meet Gracie May. I just know that they're going to be the best of friends. What awesome loot that you picked up at Market. I'd have a difficult time deciding which are my faves. Awwww!!! Such a cute little kitty! I can't wait until you get her! And wow! I am totally impressed with your haul from market. You are a good little shopper. Gracie May is absolutely adorable. Did you take along extra luggage just for your loot? Oh, what a sweet sister Sasha will have. Oh how I love fur-babies of ALL kinds. She'll have a loving home with you and Mr. Squash. 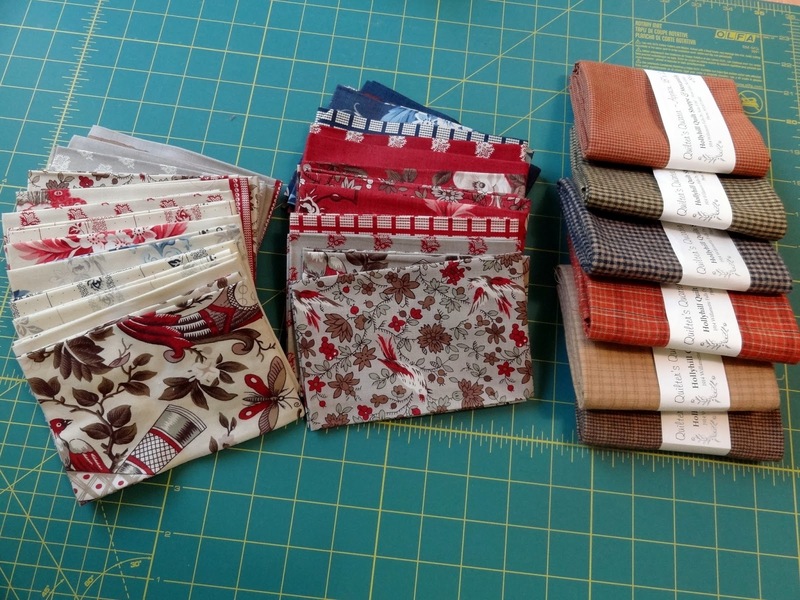 Oh woww, you found some lovely fabrics and Sasha's baby sister looks just gorgeous. Oh, that Gracie Mae is so gorgeous!!! My heart just melted all over the computer. Give her a hug for me when she comes home, okay? What wonderfuls! I particularly like the Serenity set- the colours look well serene together. LOL I know it's been a busy day, I should back away from the keyboard. wowee! what great fabrics you found!